an up and coming leader in Orange County. a county-wide program to expand the knowledge base of local leaders. Peter and his wife, Allison, have made their home in Warwick with their daughters and puppy. They enjoy the activities that the Hudson Valley offers including numerous summer and fall festivals, swimming at Greenwood Lake, skiing at Mt. Peter, and taking advantage of the fine restaurants and the wide range of shopping in the area. Peter Berman has over 10 years experience in the Construction, Development, and Inspection industries. As a third-generation builder and project manager, he grew up in and around the construction industry. Peter has organized and supervised projects including large tracts of single family, multi-family homes and commercial projects in Brooklyn, Staten Island, Central New Jersey and most recently Orange and Sullivan counties in NY’s Hudson Valley. In addition to construction and development Peter is a founding partner of Inspect Your Home, Inc. (www.InspectYourHome.net) which has been operating since 2001 and has performed inspections for individuals, investors, and some of the largest national Real Estate Holding companies and lenders including Legg Mason, Wells Fargo, and GMAC. Peter is on the faculty of the New York Real Estate Institute where he conducts seminars and lectures. He is a member of the American Society of Home Inspectors, National Association of Home Builders, and the Builder’s Association of the Hudson Valley where he is on the Board of Directors and a member of the Government affairs committee. Peter holds the designation of Certified Graduate Builder, from the NAHB. 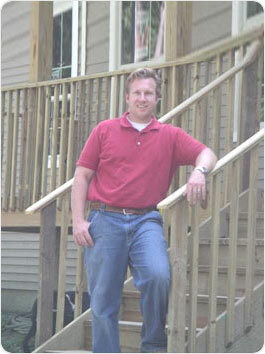 He is also a Faculty Member of the NAHB University of Housing, where he teaches courses related to Business Management. Peter is a Syracuse University graduate where he received his degree in Public Affairs. Peter received the “Rising Star Award” from the Orange County Chamber of Commerce, The Junior League of Orange County and Leadership Orange. Peter was selected to be in the Leadership Orange Class of 2008 and was also recognized for his industry leadership by being selected to present a series of seminars for the Journal of Light Construction at their national show.